From working with celebrities like Leighton Meester and Cyndi Lauper to models Chanel Iman and Elaine Irwin, makeup artist Norman Sands keeps himself quite busy. And as a makeup artist for NARS, he is super knowledgeable about all the best beauty products out there. Read on to find out what inspired the beginning of his career, the blush he can't live without and so much more. I grew up on the east coast in Norfolk, Virginia. After a year at Norfolk State University I transferred to Purdue University, graduating with a BA in Communication. I first discovered my passion for makeup while in high school and college theater. I remember during school plays fellow actors would ask for help with makeup, which seemed to come easy to me. In the early days of my career I learned a lot about makeup from drag queen and hairdresser friends who taught me tricks of the trade. After college I worked retail in visual merchandising and later selling fragrance. Customers would randomly ask me for advice at the various makeup counters. During this time I absorbed everything I could from women who had worked in cosmetics for years, benefiting from their tips, tricks and advice. Before long I was approached to work at a MAC store. MAC taught not only the basics but certified artists to do all kinds of makeup including television, bridal, film, runway and photography. Over the years I have had the great opportunity to learn from the best of the best celebrity makeup artists in the industry. I couldn’t have imagined that I would one day have the opportunity to work with and for one of my favorite artists, François Nars. What are your top 5 favorite products from NARS and what makes them special for you? Pure Radiant Tinted Moisturizer Broad Spectrum SPF 30. One of my favorite complexion items I keep in my kit. 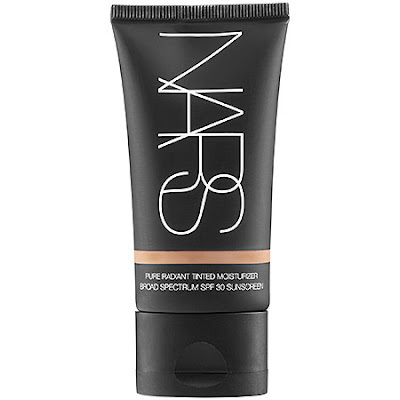 If a client doesn’t want airbrush then I usually reach for this beautiful tinted moisturizer that offers the buildable coverage of foundation with a lightweight texture. It looks wonderful in photography, film and television. The Multiple. This multi-use product is so versatile and looks amazing on camera. They create depth, dimension, illumination and radiance. 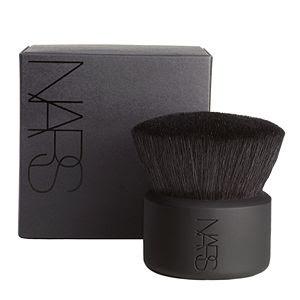 They are a great tool for creating beautiful 3-dimensional complexions. Layer under or over liquid foundation or pair with powder blush for red carpet skin. Kabuki Artisan Botan Brush. 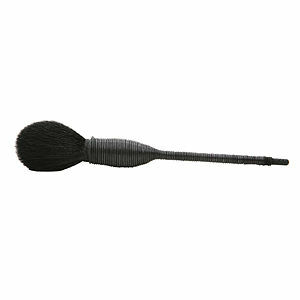 This Kabuki brush polishes skin to perfection and works great with loose, pressed, translucent or powder foundation. Kabuki Artisan Yachiyo Brush. The one tool clients and fellow artists clamor for is this unique sculpted brush for the cheeks -- highlighter, bronzer and blush. 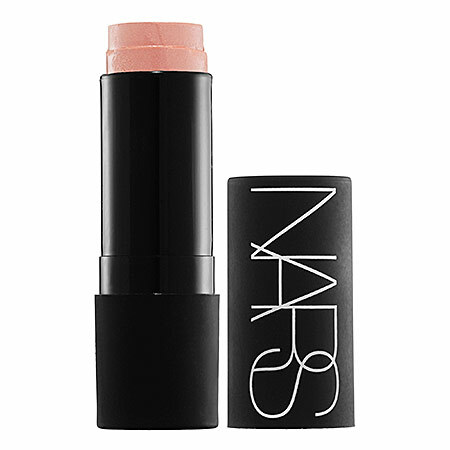 NARS Blush in Nico. This is one of my favorite beauty secret weapons. 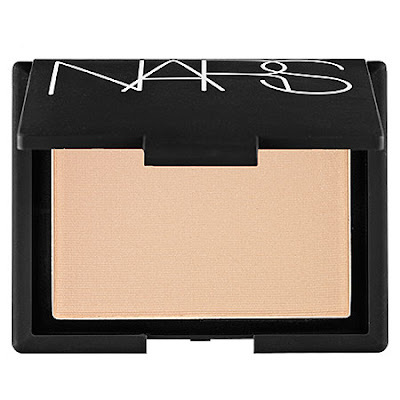 This soft focus powder has a multitude of uses. 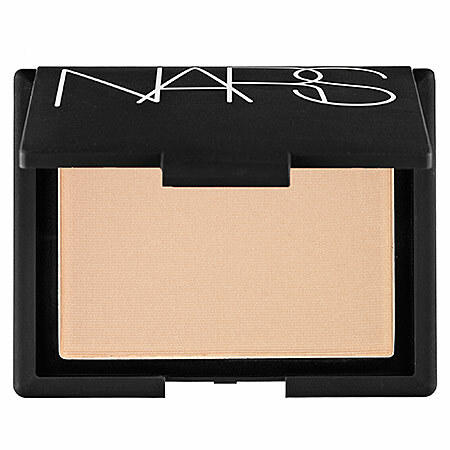 It makes a great allover eyeshadow color, a soft focus touchup or setting powder, and it gives a candlelight glow to any skin tone. I like to apply it to the center of the face and highest part of the face. How about other beauty brands? Any standout products for you? Elizabeth Arden Eight Hour Cream. This is a quick fix for dry lips and can be used a multitude of ways. When doing makeup, I apply this to the lips. It doubles as a brow gel, cuticle cream, lip balm, eye gel or cheek shine. C.O. Bigelow Vitamin Boost Toner. This delicious smelling spray is an effective prep mist, facial toner and setting spray. 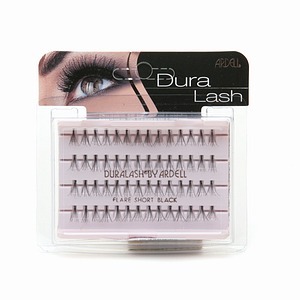 Ardell DuraLash Flare Lashes in Short Black. These are a staple that work on every client, look natural and add instant glamour. Mustela Facial Cleansing Cloths. A makeup artist’s best friend for prepping the skin, removing makeup (including mascara). 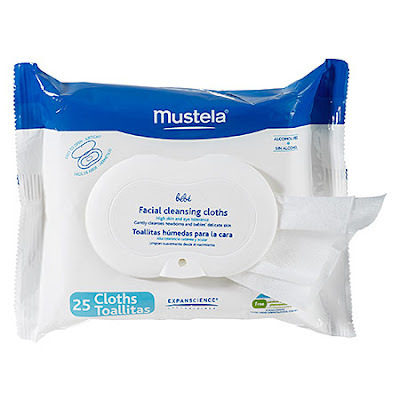 Hands down the best face wipes I have ever tried (and I have tried them all). Extremely gentle for sensitive skin and leave face feeling fresh, clean and smooth. 1) When in doubt keep it simple. With makeup knowing when to stop is just as important as what you use. Keep it simple. 2) Be adventurous. Retro vintage shades are flattering. Try a bright fuchsia, electric coral or bright red. 3) Spend most of your time on the complexion and brows. These are the most important features. My favorite feature is the skin. A little contouring and highlighting is universally flattering because it adds depth, dimension and luminosity to the face. My personal belief is that everyone is beautiful. We all have at least one feature that makes each of us unique. That is your beauty... What makes you different makes you beautiful. The best part of being a makeup artist is that it’s all about making someone look and feel good. I love the art and science of beauty. It’s an honor to be a part of how someone presents themselves to the world. Whether working backstage at a fashion show, with a celebrity, a bride or helping someone choose a lipstick, it’s something I enjoy because it’s all about a connection. At the end of the day I feel lucky to do something that I still enjoy after 15 years. My favorite role is being an uncle to my young nieces and nephew. Aside from movies, art and theater I have an eclectic collection of books, especially makeup and beauty books. I love vintage books from every era especially the 70s and 80s. Juggling social media has also become somewhat of a hobby. I try to keep current with Twitter, Pinterest, Facebook and my latest fave is Instagram.